Kind Curations at Cornerstone Stores in Tugan on the Gold Coast is home to an assortment of contemporary homewares, and a curated selection of women’s fashion and accessories, with a focus on artisanal and hard-to-find goods. The modern, welcoming space is influenced by the coastal environment and showcases some of the best brands around. 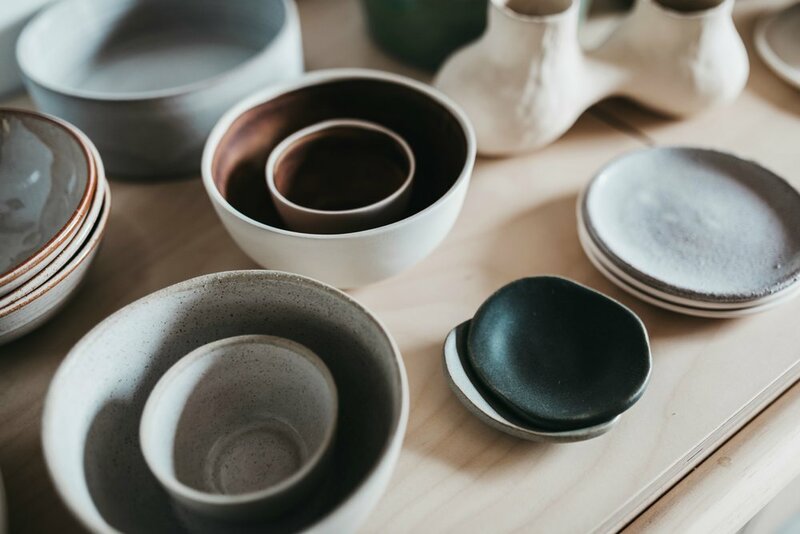 By mixing homewares, ceramics and beach essentials with limited release fashion, they offer a selection that is truly unique and showcases well made, timeless goods. Ceramics from Queensland based potters Jo Norton Ceramics, Kim Wallace Ceramics, Hunch Mark and A Ceramics. Glassware and candles from Sydney's Maison Balzac. Beach umbrellas from Business & Pleasure Co.
Turkish towels, throws and blankets from local label Mayde. Handmade jewellery from Melbourne's The Line of Sun. 100% leather sandals from Noosa's Woven Palm. 100% French linen bedding and loungewear from Byron Bay's Deiji Studios. Fashion from Australian labels All That Remains, Estilo Emporio, Sabbatica, Hakea and Matteau. For those that can't make it in store, never fear, their online store will be live in the coming months.